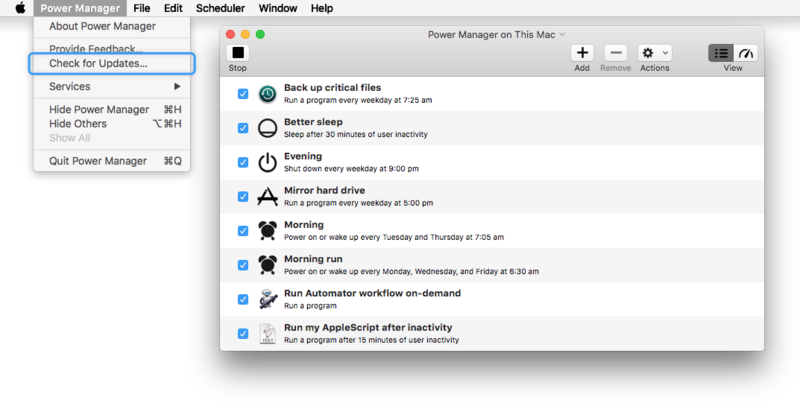 We are pleased to announce the launch of Power Manager and Power Manager Pro 4.5.2. This update fixes a few bugs and updates third party frameworks. Bug: Fixed bug delaying authorisation.rights being immediately saved. Bug: Fixed bug affecting some licences being applied.